What do our readers say about Strategies? Strategies to Learn & Grow is a two-page digital newsletter published 22 times per year August-June. The Swedish version is also published on paper. Strategies to Learn & Grow gives quick and effective training to the staff at every level in the organisation. Our aim is to inspire growth, development and learning for everyone in the work force. We also write specific suggestions and advice for the personnel department. We review recent and classic books, cassettes and videotapes. In every issue there is also an illustrated tip on learning and growing. Distributing Strategies to Learn & Grow at your work place is easy. Our unique distribution right makes it easy to distribute Strategies in the organisation through the intranet or by printing. Soon Strategies Online will be launched making a fully web based subscription possible, including searching and reading hundreds of earlier articles. 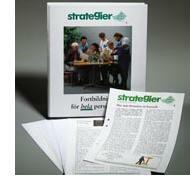 Strategies to Learn & Grow has been published in Swedish since 1985 in close to 600 issues. Strategies has thousands of readers all kinds of businesses and organisations. 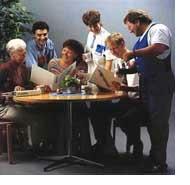 Strategies has been consistently published in English since August 2005. Strategies to Learn & Grow is distributed on a printable pdf-file by e-mail. When you subscribe to Strategies to Learn & Grow you choose the desired number of computers or a Company License for the entire company. We send you Strategies by e-mail. The Strategies digital pdf-file is then distributed through the intranet or internal e-mail system of your organization. It can also be printed. 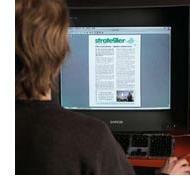 Strategies is also available in Swedish and Norwegian. Click on the flags above. Order a digital subscription today! 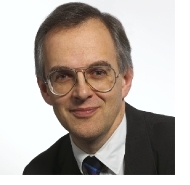 Strategies is published, and written to the main part, by Jonas Himmelstrand, well-known mentor, educator and lecturer with more than 25 years of experience working with Swedish organisations and businesses. Everyone who writes in Strategies believes in people, their strengths and their ability to create a better world. Our contributors are positive enthusiasts with deep knowledge and experience, and a strong humanistic passion to inspire individuals, work teams and organisations to learn, grow and develop – to make the impossible possible and reach for the stars. in individuals, teams, organisations and society.